This hands-on workshop (bring your laptop!) 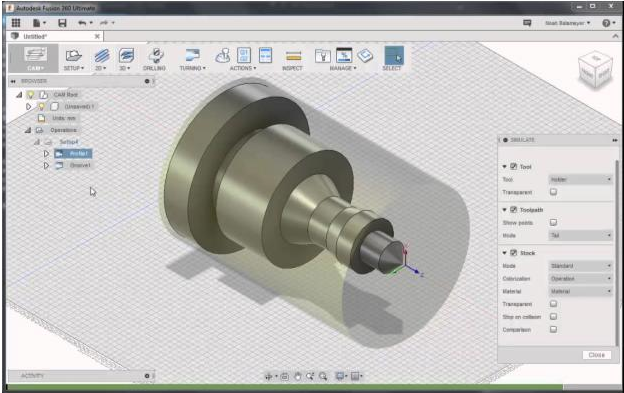 will introduce the Fusion 360 3D CAD design app as a design tool for designers and engineers of all skill levels. We will focus on the basic functional areas of the Fusion 360 app and lead the attendees through the modelling of a simple consumer product. We will cover T-Spline form creation, basic solid modelling and assembly, and materials and rendering. You are free to just take notes or even better, bring your laptop and model along with the instructor! Fusion 360 is a free software for all students. It can be downloaded before the workshop to be ready to go!